The prAna Katya Top uses subtle flattering details and 100% organic cotton to create good stuff in a good way. 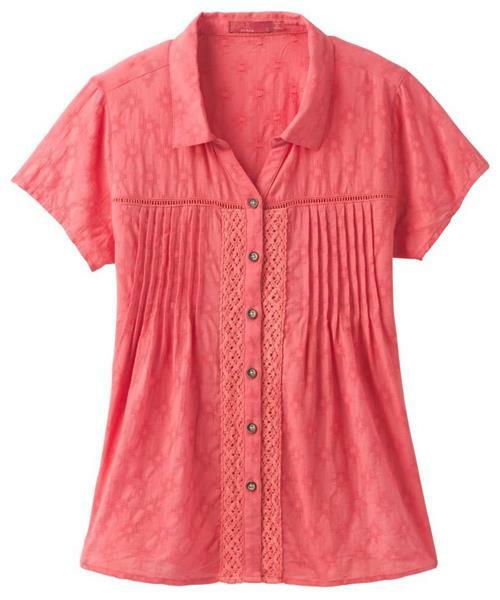 Slender vertical stripes and soft crinkle fabric are flattering, as is a button-down front with lace accents. Fair trade certification supports better working conditions for the cotton farmers and factory workers who made it.